Have a personable experience to 3 of the UK’s top locations: Windsor Castle, the City of Bath and Stonehenge. With a maximum of 17 guests on your tour, you’ll get to ask your guide as many questions as you like whilst enjoying the time to wander around these world-famous locations. The first stop on your day tour will be to the largest occupied castle in the world. Visit Queen Elizabeth II’s favourite royal residence, Windsor Castle, which was most recently the venue of Prince Harry and Meghan Markle’s royal wedding! You’ll get to see the exquisite St George’s Chapel where they married and the burial place for the formidable Tudor King Henry VIII. Venture through the luxurious State Rooms and see the spectacular Queen Mary’s miniature Dolls’ House. Next will be a trip to the UNESCO World Heritage Site of Bath, home to the Roman Baths and breathtaking Georgian architecture. Soak in spectacular sights of Bath where one of England’s most famous writers, Jane Austen, called home before heading to the historic Roman Baths. The Roman Baths are considered one of the finest historic sites in Northern Europe and there’s no guessing as to why. You’ll get to see the Sacred Spring, the Roman Temple, the Roman Bath House and even sip the waters in the Grand Pump Room. 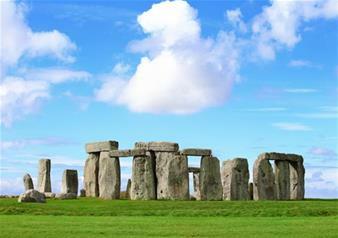 This last stop on your small group tour will be to the 5,000 year old Neolithic stones of Stonehenge. Set on Salisbury Plain, Stonehenge has become one of the most mysterious locations in the world. How did the stones get there? What do they represent? Who put them there? See if you can piece together the evidence at Stonehenge as you come up close to the Stone Circle with audio commentary guiding you throughout. With your hypothesis at the ready, you can explore the Stonehenge Visitor Centre to see how close you are to discovering the purpose of Stonehenge!